On Saturday, William E. May will be buried. [http://www.legacy.com/obituaries/washingtonpost/obituary.aspx?page=lifestory&pid=173463827] The Catholic universe is grieving his passing, but those in the pro-life movement who are not Catholic have reason to grieve as well. 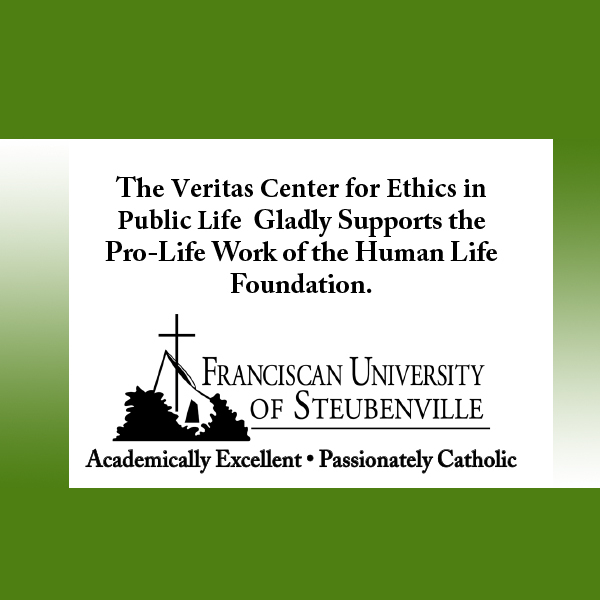 He taught the pro-life movement how to refute its philosophical opponents. In 1968, Pope Paul VI asserted Rome’s moral authority on sexual ethics and issued the encyclical Humanae Vitae. But it was the 60’s and nobody wanted to accept any restrictions on the sexual revolution then in its heady first days. Charles E. Curran, at the time a tenured professor at Catholic University of America (CUA), organized Catholic theologians around the world to sign a public letter dissenting from the encyclical. Graduate students in theology and philosophy departments were pressured by their professors to sign the document. William E. May was a PhD candidate in philosophy at Marquette University. As he later said, “It took courage not to sign the statement, and it took special courage in those who lacked secure employment.” Lay theologians were a novelty at the time, and he was supporting his family by working as an editor. In his publishing job, May had been assigned to edit Germain Grisez’s landmark volume, Contraception and the Natural Law (1965). May admired Grisez’s scholarship and ethical theory. Years later, when he had long been a friend and collaborator with Grisez, he told my husband that it was Grisez’s work that prompted him to quietly remove his name from the statement of Humanae Vitae dissent. Quietly, because he still had to survive the Reign of Dissent. When his publisher-employer went out of business, May, whose seventh child was on the way, sent out over 800 job applications. In desperation, he was about to take a Civil Service job when his friend Jude Dougherty, Dean of the School of Philosophy at CUA, told him of an opening in the Department of Religion. A priest on the faculty was leaving to marry a nun. God can write straight with crooked lines: The academic climate of 1971 was such that because Bill May had signed that dissent against Humanae Vitae, and had never publicized his repenting of it, he got the job. Five years later, however, when he refused to stop teaching in support of Humanae Vitae, the department fired him. Fortunately, by then some dissent from Dissent was beginning to appear. CUA had begun to feel the first bit of pressure to “balance” Curran’s outright heresies. So the Graduate School of Theology offered May a position, and in 1977, through the grace of God expressed in a tiebreaking vote, he won tenure. Through the ensuing decades, Bill May quietly taught Moral Theology at CUA. Few professors anywhere in those Decades of Dissent defended Humanae Vitae and endured the derision of their colleagues. But he was a persuasive teacher, and his students went on to become priests and bishops and leaders of the pro-life movement. He quietly kept on writing, responding to the need for clear thinking on increasingly complicated ethical issues. Jennifer Kimball, Director of the Culture of Life Foundation, says that he “led the way in the beginning of what now is understood as bioethics.” He made comprehensible the foundational principles of good ethics and applied them to emerging problems. By the time he left CUA to teach at the fledgling John Paul II Institute on Marriage and Family, he was recognized as the pre-eminent demolisher of the arguments of proportionalism and consequentialism. What are proportionalism and consequentialism? In a word, they are the isms behind situation ethics in the 60’s and the Culture of Death today. Inconvenient to have a baby? No problem, the sense of well-being that comes from your career is such that it’s OK to have an abortion or hire a surrogate. Did you get a prenatal diagnosis of Down syndrome? No problem, having that baby will cause the rest of your family to suffer, and that baby’s life will have less value than theirs, so abortion is the loving thing to do. Granny’s bills are too high at the nursing home? That lowers your quality of life, and hers isn’t that great anyhow, so it’s OK to encourage her to request VSE (“voluntary stopping eating and drinking”). Those are examples of proportionalist and consequentialist thinking at work in our society. Decades of “progressive” education have rendered most Americans incapable of recognizing its tricks or refuting its arguments. William May provided the intellectual ammunition the pro-life movement needed to refute those arguments. Did he invent them? Probably not. But he got them into the hands (or, literally, the minds) of those who needed them and were in a position to use them. And for this Bill May deserves the thanks of the pro-life movement around the world. May his memory be eternal. 1,040 people have visited this page. 1 have visited this page today. Great piece. A fair and well-documented assessment of Bill May’s legacy in our culture. Thanks for writing so well about this great human being. May God’s eternal light and peace shine upon him. A good article. I learned a lot, and it’s important to honor those who have served long and well in the cause of love and life. I am greatly saddened by Dr. May’s passing. Having conducted psychological research in the PL field for 20 years, he was an inspiration and one of THE GO TO experts!! Thank you for this well-written and well-deserved tribute. Bill May was of great service to the U.S. bishops’ pro-life efforts over the years through his writing and sage advice, and we showed a small part of our gratitude in 2010 when Cardinal DiNardo, chairman of the bishops’ Committee on Pro-Life Activities, gave him a People of Life award. On a personal level he was something of a mentor to me when I was a Ph.D. student in Theology at Catholic University in the late 1970s, at a time when Father Charles Curran and those who favored his approach were prominent in the department. Bill was passionate about sound morality — you could always tell when someone else in the room was making what he saw as a specious argument, because you could see Bill trying to restrain himself from interrupting — but at the same time he was a true gentleman. When he wrote his relatively recent book “Catholic Bioethics and the Gift of Human Life,” he always sent his own description of an opponent’s position to that person, to make sure he was describing it accurately, before leveling any criticism against it in print. That level of respect for people with whom one strongly disagrees is in short supply these days, in academia as in politics, and it is a lesson I try never to forget. Rest in the Lord’s loving embrace, my friend. Amen — Bill May’s contribution needs to be better recognized and appreciated. A wonderful reflection on a heroic life, a great man who devoted his many gifts to the defense of the truth, and in service to the Church he loved. Requiem aeternam! Thank God for Bill May! He also taught at Mt. St. Mary’s Seminary in the 1970’s, forming many future priests and the rare future bishop. A great tribute to a brave and honest theologian. Great read, Connie! Catholics and pro-lifers today are truly indebted to people like William May. I very much wish that I had had the opportunity to meet him, and that my children could have taken his classes. We could use a few courageous people like him now. Seems a well-deserved tribute, earned over a lifetime of intellectual, spiritual, and personal integrity. A logical venal corollary or derivative of proportionalism and consequentialism, is incrementalism, and the supporting tactic of creating and arguing false equivalences. I’ve heard it called “noble cause corruptive thinking” which may be fairly summarized as “any purported noble goal can be used to justify even the most nefarious and treacherous tactics and means.” I applaud the author for her perspicacity, ethos, empathy and her concise, cogent, compelling style of writing. Great to read the back story on this impressive life. I knew the name as a college student, courtesy of Professor Marshner, but am now interested in delving into May’s writing on my own. Dr. May was one of those quiet yet extremely effective Catholic scholars. I was glad to learn in this article about the history of his career vis-a-vis his dissent and then withdrawing his dissent from Humanae Vitae. It took courage, especially at that time, to teach in support of it even though it led to his being fired. Praise God he was re-hired and thus was able to form the minds and hearts of thousands of students in the truth. This is a very insightful and informative article. Thank you, and keep up the great work! His work is vastly important. The specious arguments against life itself need clear and rational counter messages. May we all learn from him and continue his messages. Very Interesting. Having read two of Bill May’s books, I didn’t have the context of his life that this piece provides. He will be missed. I learned so much from the life of this man. Thank you for making the story of all he accomplished for the kingdom of God more well known. This is an excellent reflection on Bill May’s life, which was truly a life well-lived! May he rest in peace. We need more like him. What a great loss to us all. Thank you for this “Appreciation” article which I will share with my graduate students at Holy Apostles College & Seminary in Cromwell, CT where I have been teaching Bioethics for five years using Dr. May’s outstanding book entitled, “Catholic Bioethics and the Gift of Human Life.” If you have not read it, please consider ordering it. You will be forever grateful to William May for writing this masterpiece on Catholic Bioethics. Thank you, Human Life Review, for chronicling the history of the pro-life movement since 1975. Dr. William May would be very appreciative of your recognition. Great piece and I’m sure he was a wonderful man . I realize on some level the common good and public discourse are enhanced by his scholarly works. As a practical matter too much time debating and not enough time doing something. Only people who already care about the issues are reading about them and a very small percentage are scholarly enough to comprehend the intricacies of the arguments. Changing hearts and minds needs to be much much more basic and appeal to people at the HIgh School level where the bulk of decisions and formative opinions are being made. What a story! With the recent passing of Helen Hull Hitchcock and now Dr. May, it’s vital to hand on to the current generation of pro-life Catholics the history of the struggle back in the ’70s and ’80s. Thanks so much for refreshing our memories. A courageous man in a crucial fight at a critical time. Interesting article. Thank you for this well-deserved tribute to a great man. His intellectual stature was more than matched by his moral character and his generosity with his students. He has left an enduring legacy and he will be greatly missed. A wonderful article about a wonderful Man. Thank youfor letting us get to know him better. Beautiful, Connie. A wise and clear presentation of a courageous defender of life. As a moral theologian starting in the 1980s, I owed Bill May a huge debt of gratitude. By the 1980s, the Currans and McCormicks were the new pseudo-Magisterium and even FINDING Bill May’s books were a challenge. I met him once during my studies at Fordham, and he encouraged me as a lay theologian to stick with the prepapal thought of John Paul II when Wojtyla, too, was not in vogue. God bless Bill May; God give him eternal rest. Thanks for this article! I never knew the context of May’s life and work.